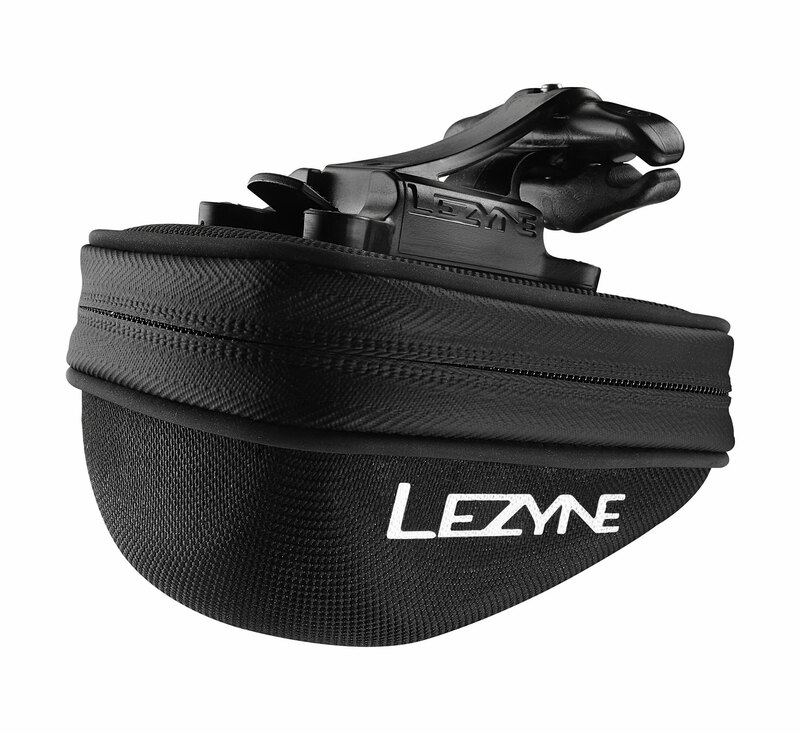 A lightweight saddle bag with a QR mounting system. 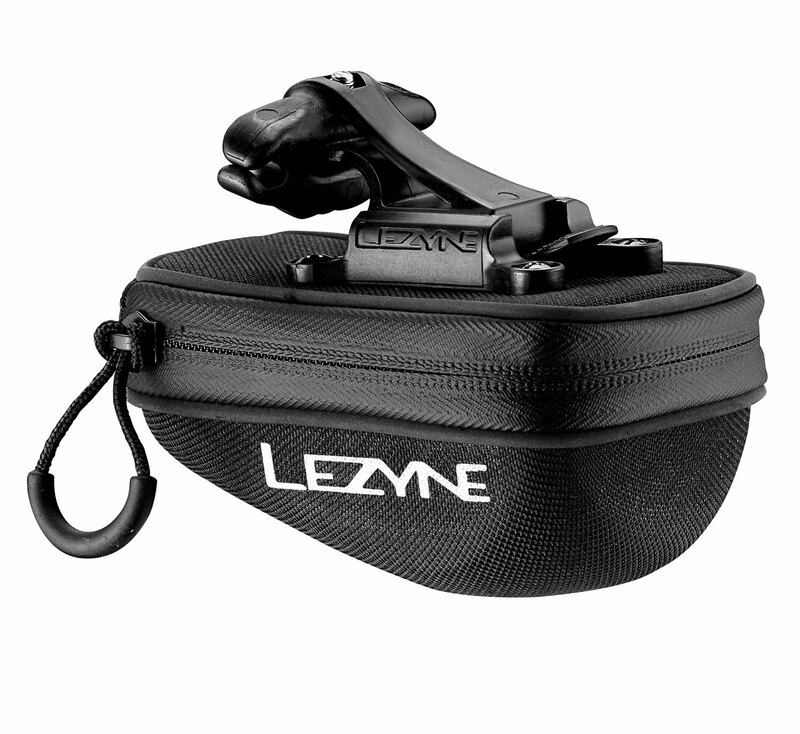 Lightweight, semi-rigid saddle bag with QR Mounting System. 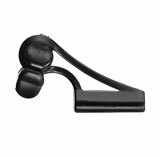 Molded EVA foam structure with durable woven nylon cover. 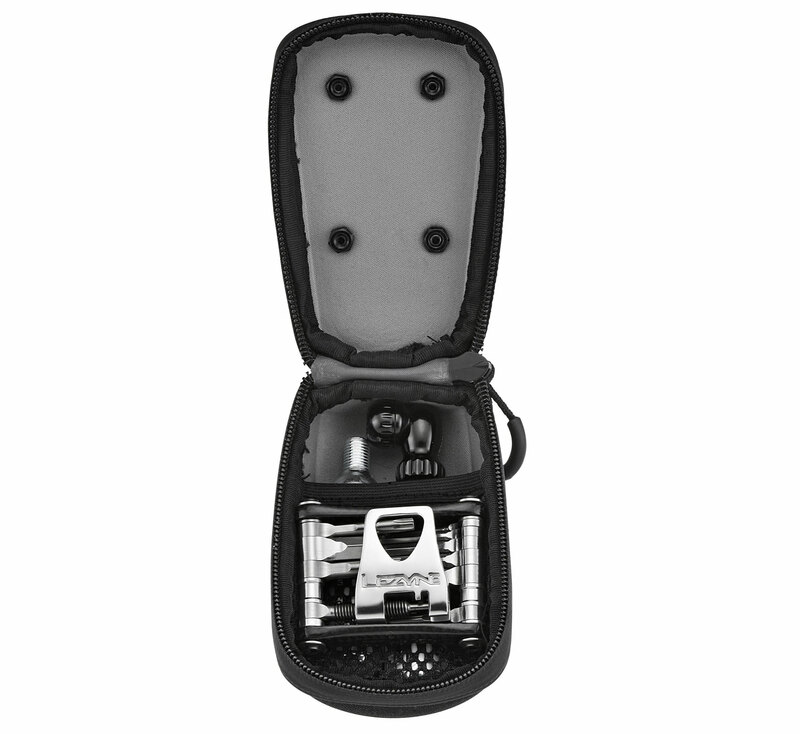 Compact design with extra wide clamshell opening. Mesh divider helps keep items in place. Reflective piping increases night visibility. 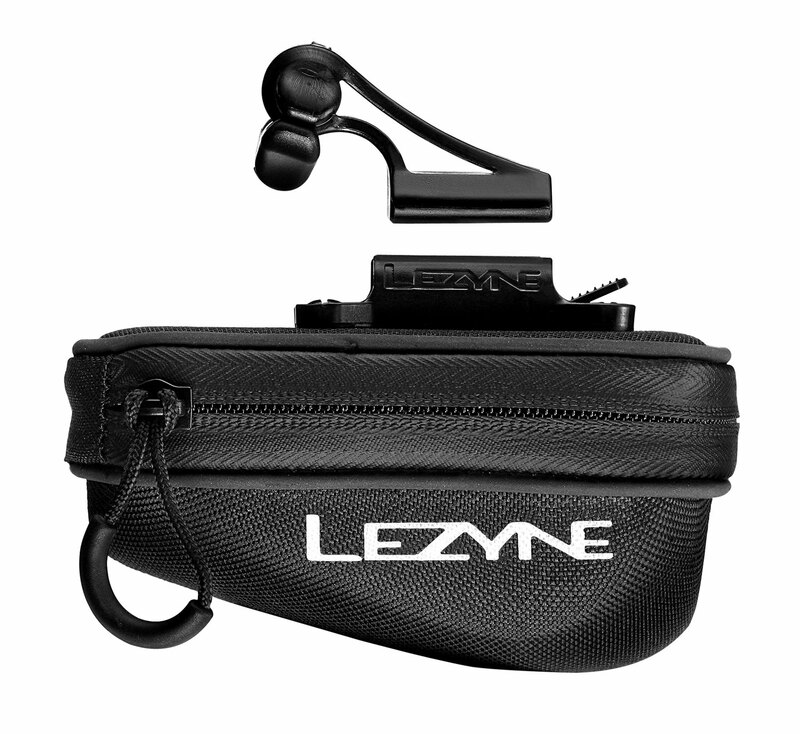 Water resistant zipper with large pull loop. Saddle bags are a useful accessory but can often ruin the look of a nice bike; a baggy material with velcro straps wrapped around multiple surfaces. 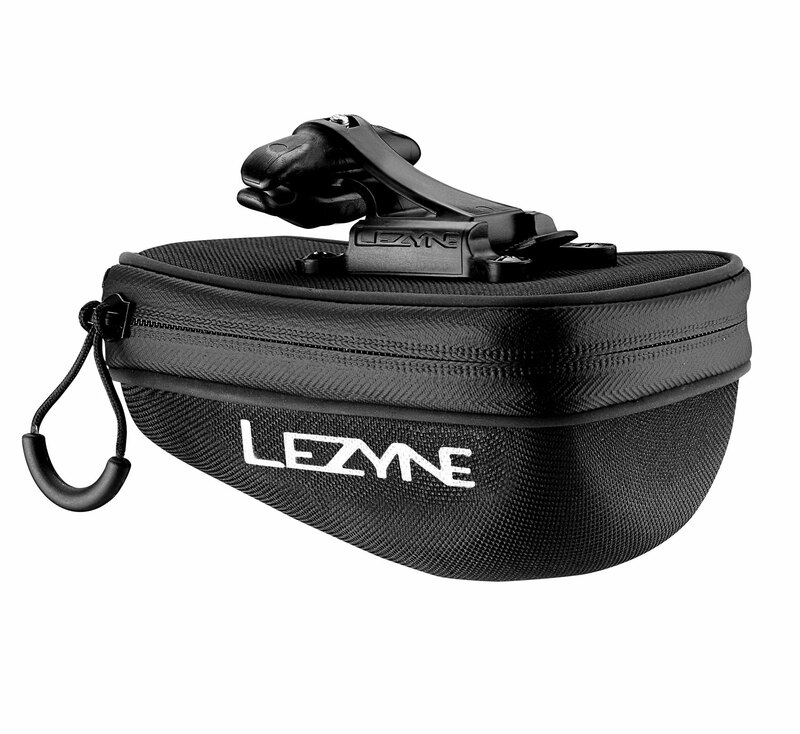 The Lezyne Pod Caddy does away with straps and bagginess, creating a saddle rail mounted hard shell case.